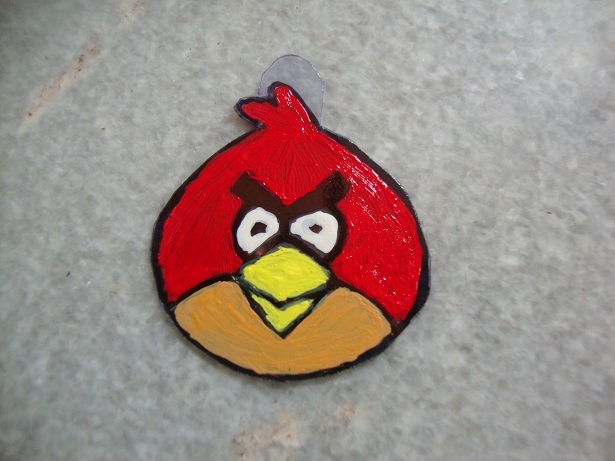 Angry birds has become very famous recently. People are crazy about that game. 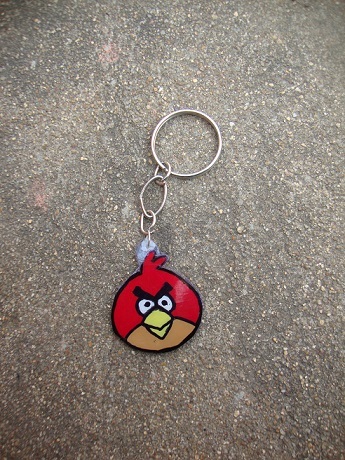 Many products have come in the market with angry birds theme. They are printed on the Tshirts, towels, even under pants, Pencil boxes, bags almost all the day to day accessories and things we use. So lets also take part in this craze on the bird. 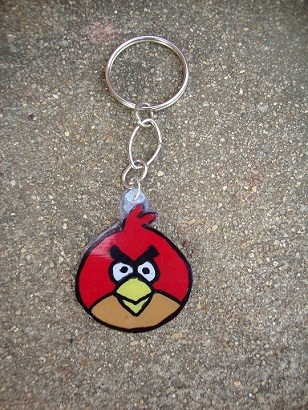 We will make an angry bird shaped Key chain. Mostly I make recycled crafts so this one also a recycled one. The recycle material I used for this project is the plastic collar that comes along with new shirts. Ok Lets jump to the tutorial. 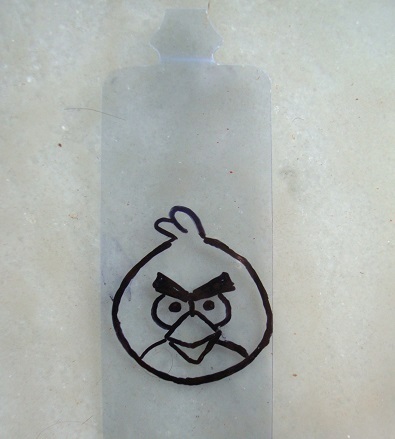 Trace the angry bird design on the plastic collar with a black permanent marker. 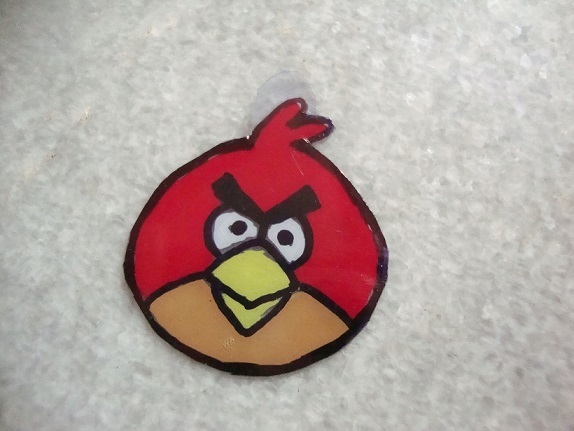 Cut out the bird shape along with a small extension on its head to connect to the Key chain Ring. Fill in all the colours of your choice. 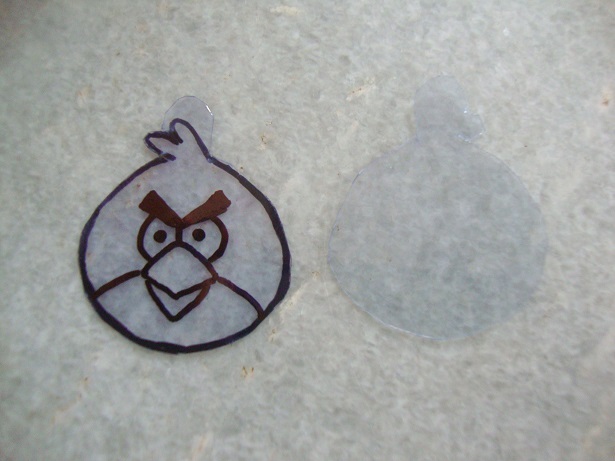 Cut out another piece of the same shape and stick it behind this painted side using fevi quick. Its for protecting the paint from scratching off. 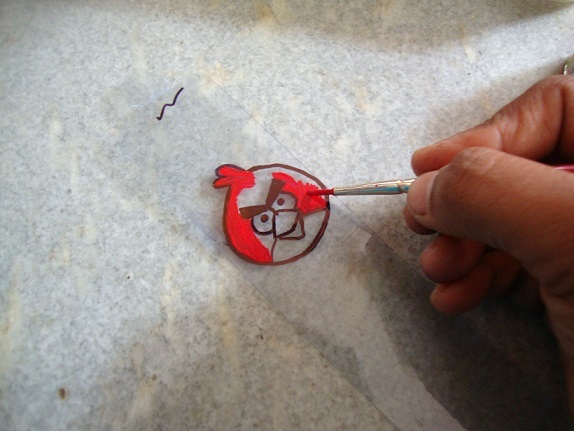 Now Punch a small hole with a pin on the extension above the birds head we left in the beginning . Connect the Key chain ring through this hole. 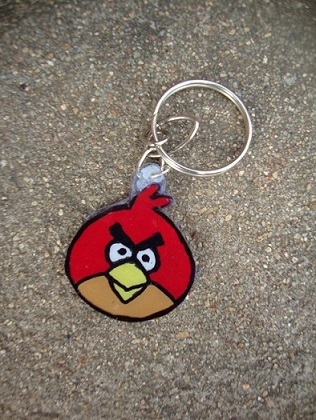 Thats it fiery trendy Angry Bird Key chain ready ! 🙂 So simple isn’t it. Try it out and tell me how you like it.